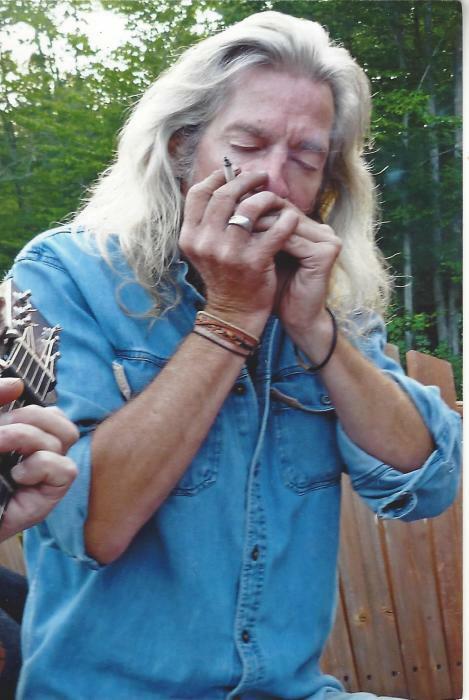 Chris was an impressive carpenter, extraordinary artist and talented musician. Much of his life was spent in coastal and central Maine where he loved riding his motorcycle, painting, playing music, being around his friends and working hard at his craft. Though he did not attend church, he had his own spiritual beliefs which were evident in the last fifteen years of his life. His gentle heart was visible to all who knew him. He made this world a better place with his kindness and open heart. Chris is predeceased by his parents, Harold and Marolyn Cooper, niece Leilia Fine, nephew Matthew Fine and great nephew Adam Fine. He is survived and loved by five siblings, Jerry and Tina Cooper, Leisa Fine and Ken Lybrook, Sandra St Pierre, Alan and Elfie Cooper, and Michael and Debbie Cooper. He is also survived by his daughter, Jessica Abby Norton, whom he loved and missed every day of his life. Chris is survived and loved by Juanita Bean and family, several nieces, nephews as well as a numerous friends, most notably Jeanie Hachey, Mike Rouze, Sr, Jim MacLean, George Carter and Mark Walraven. At Chris’ request there will be no public funeral.